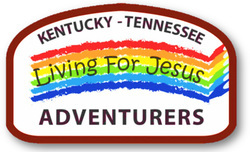 The Adventurer program is designed to support parents in assisting children with the challenging task of developing fully as followers of Christ in today’s world. Participation in the Adventurer Club also provides children an opportunity to belong to an organized peer group. The Adventurer Club involves children in grades 1-4 and their parents. Our pre-Adventurer program is for children at the pre-kindergarten and kindergarten levels. Parental involvement provides opportunities for parents to participate in the learning experience. One of the Adventurer Club objectives is to provide a meaningful and exciting experience as the children look forward with anticipation to some day being Pathfinders.